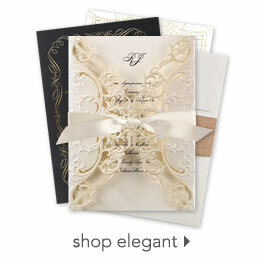 Your first name initials appear as a monogram above your choice of wording on these custom envelope liners. All wording is printed in your choice of fonts and colors. No assembly required. Liners will appear inside the inner envelopes included with your Naturally Chic wedding invitations. Size: 7 1/8" x 8 1/8"